Pecans are PACKED with Nutrition! — Beardy Boys, Inc.
Pecans are PACKED with Nutrition! 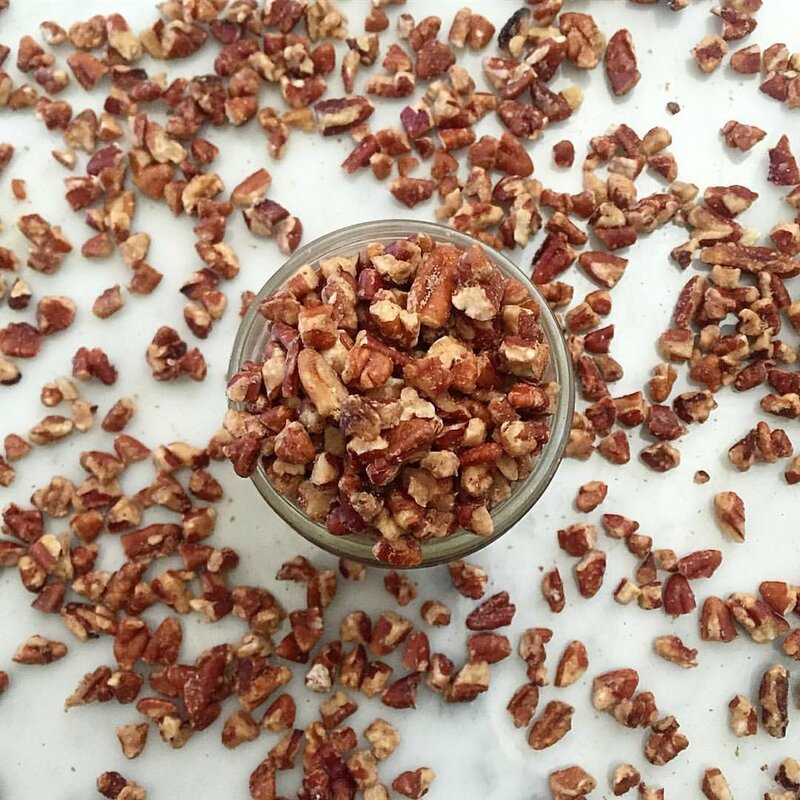 Pecans, which are native to North America, are packed with health benefits. Not only that, but our pecan butters will leave your mouthwatering for more when you're done. Check out these quick facts about the benefits of eating pecans. Then, add them to your daily diet! Heart Health: Pecan nuts contain monounsaturated fats, such as oleic acid, along with phenolic antioxidants which help reduce the risk of heart disease. Adding a handful of pecan nuts in your diet can help prevent strokes and coronary artery disease. Weight Loss: Consuming nuts enhances satiety and increases metabolism. Research has indicated that a diet comprised of pecan nuts helps in losing weight. Pecans are also very rich sources of several important B-complex groups of vitamins such as riboflavin, niacin, thiamin, pantothenic acid, vitamin B-6 and folates, which together help increase the rate of metabolism. Anti-Inflammatory Benefits: Pecans are rich in magnesium, which is known for its anti-inflammatory benefits. Studies have proven that increased magnesium intake reduces inflammatory indicators in the body, in addition to reducing inflammation in the arterial walls. Thus reducing the risk of arthritis, Alzheimer’s disease, cardiovascular disease and other inflammatory ailments. Boosted Immunity: Adequate intake of manganese is vital for nerve conduction and brain function. Pecans are a rich source of manganese, a powerful antioxidant. This trace mineral protects your nerve cells from free-radical damage, thus boosting immunity and protecting the body from diseases and infections. There's no better way to add pecans to your morning routine than indulging in our healthy pecan butters, available in four flavors. Don't wait until the holidays to enjoy the benefits of this nut!